With the summer tourist crowds gone and not to be seen again until Christmas, November is a notoriously sleepy month for Colombia. But if you're traveling during this time you'll be rewarded with cheaper fares, great weather and empty beaches all to yourself. Even though fall may be coming to a close where you live, Colombia still retains its seasonless, steady climate year round. On the coast, it's sultry and tropical while you'll enjoy mild spring-like climates in the central region of the country. Even Bogotá, with its often chilly highland weather, is better in November as this month is just outside the rainy season (April-October). You can expect average temps in the capital city to be around 66°F, with average lows being 41°F, so you'll want to bring extra layers. Conversely, you'll want to shed those layers the further down in altitude you get as you travel north into Medellín (74°F average temps) and to the northern coast and Cartagena (86°F and humid). November in Colombia is what those in the tourism business refer to as the "shoulder season." The huge tourist crowds of summer are gone, and Colombians themselves won't get any more time off from work until the Christmas season. November is so devoid of visitors, in fact, that local business proprietors and hotel owners have taken to calling it Novi-hambre ("hungry November"). It's great news if you're traveling during this time, as you can expect lower airfare and hotel prices to be 10, 20, or even 30 percent lower (possibly more depending on the hotel). All of Colombia is fair game during the month of November. However, if you've come here to escape the colder weather back home, then you might want to relegate your time in Bogotá exclusively for transfers and spend the bulk of your time in any of the other amazing cities and towns in the country. You can catch a cheap flight to Cali from Bogotá and enjoy its sultry tropical savanna climate (the perfect temperature in which to learn the spiciest of dances: salsa). Perhaps head to Medellín and embark upon some day trips outside the city to the lush green Antioquian countryside. Highlights include the popular village of Guatapé and its El Peñol, a large stone monolith jutting over 7,000 feet out of the ground (yes, you can hike to the very top). If you do nothing else, you'll definitely want to make the trip to the Caribbean coast, and particularly Cartagena. That's because November 11th, 1811 is the day when Cartagena became the first city in Colombia to declare independence from Spain. The official commemoration is on the Monday on or following the 11th. Regardless, the first two weeks of the month in this city are jam-packed with parades, parties, fireworks, dance performances and of course, much Caribbean music. More on this below. Independence in Cartagena. The first two weeks in Cartagena see parties celebrating the city being the first to achieve independence from Spain. 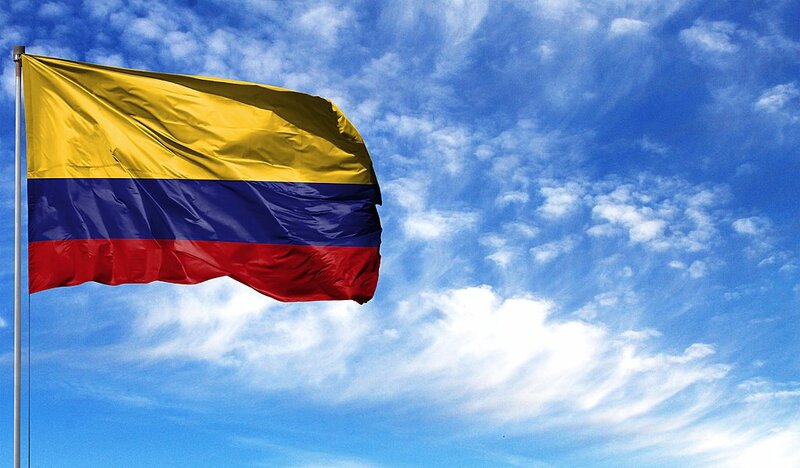 The event is now linked to the national beauty pageant, which, as the official information states, is held to “unite Colombian regions around the beauty of Colombian women." Festival Pirarucú de Oro. This festival has been going on since 1987 and takes place in mid-November, predominantly in the city of Leticia, in Amazonas Department. It celebrates Amazonian popular music, which has influences in Brazil and Peru as well. There's much live music in the region during the celebration. Traveling to Colombia in November? Check out these great itinerary ideas. Bogotá, Caño Cristales, & Highlands Tour. From June to November, the Guayabero River turns shades of rainbow colors in a vibrant natural display. Enjoy swimming holes and waterfalls before flying back to Bogotá, checking out a salt mine cathedral, and visiting Villa de Leyva, one of Colombia's most charming Spanish colonial villages. Colombia's Caribbean Coast. If you're visiting mid-month, stick to Cartagena and the Caribbean coast. You'll get to participate in the city's annual celebration of independence and spend plenty of time relaxing on the beach beforehand.